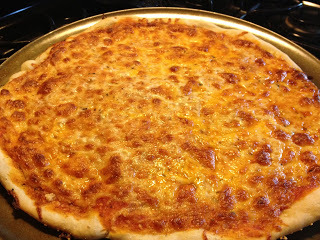 I have a new pizza crust recipe that I tried out last weekend. It turned out great! I am trying to use more of the fresh wheat from my MIL and so I thought I’d tweak my pizza recipe so it isn’t as flat and “wheatie” (using the fresh wheat it can be). 1. 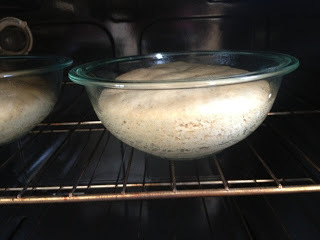 Put yeast and water in bowl. Let sit a couple minutes. 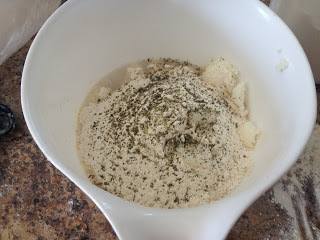 2. put flour and rest of ingredients in bowl. 3. 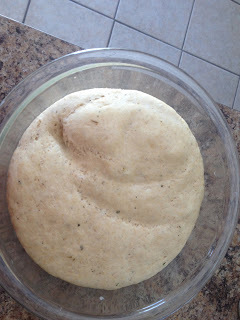 Kneed dough a few minutes. 5. 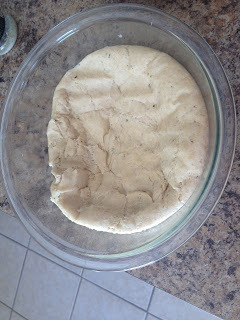 Take dough out and punch down. 6. 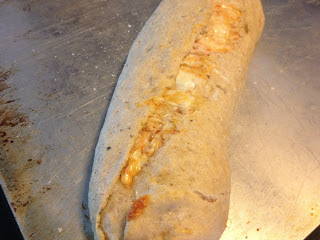 Spread on pan and put sauce, cheese, toppings. 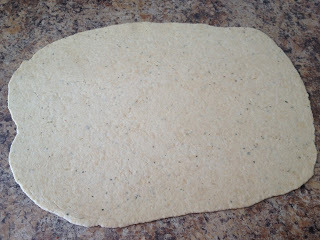 Ingredients ready to be mixed and kneaded. Doubled in size after 20 minutes. 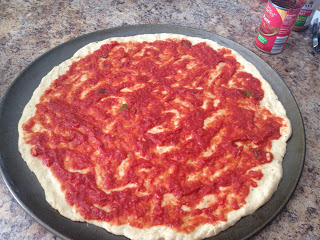 Spread out and sauce on dough. 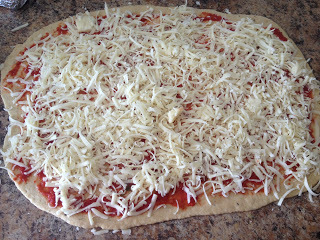 Add cheese and toppings. Cook! 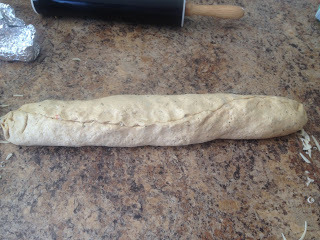 Roll out dough on counter (spray counter with Pam) in rectangle shape. Add minimal sauce and cheese. I did pepperoni for this one. I put a little bit of butter on the top and sprinkled garlic salt on it. Yum! Kyle and Abby loved it. 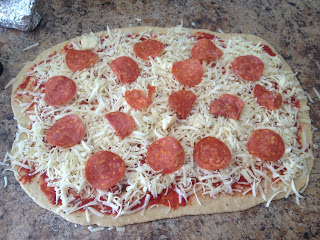 The other great part is that making a homemade pizza costs about $2.50…you can’t get that deal anywhere with quality ingredients! My recipe is very similar. 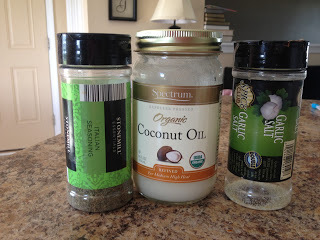 I use olive oil instead of coconut oil. And I add 3 Tbs flax seed meal. So good!